When in the market for a home, some trouble spots will jump out like a sore thumb. 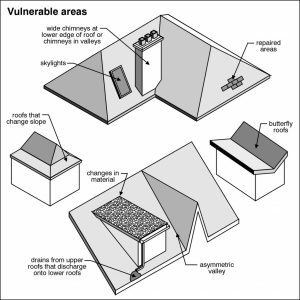 But while problems like loose vinyl siding and doors that won’t open will be obvious, other hidden issues, such as compromised wood roof trusses, are cause for even greater concern. That’s where one of our experienced A-Pro® Home Inspectors in West Palm Beach, FL steps in. Bracing Problems: The home inspector will note spots where web members have been tagged with a “bracing required” stamp, but no bracing has been installed. Other truss bracing issues include missing nails, T-reinforcements sliced in the middle rather than being continuous, bracing that is too loose, continuous lateral restraints that block the access hatch or are not properly centered, bracing lumber that does not meet size or grade requirements, and other concerns. Removed or Cut Web Members: Any removed or cut web members will weaken the system. Improperly Installed Trusses: The strength of the truss will be affected by nails missing from metal hanger bracket supports. Your home inspector will also report on lack of a bearing plate needed to distribute load when conventional framing sits atop trusses. This can result in sagging. Poorly Manufactured Trusses: This includes misaligned plates, missing metal connector plates, and large knotholes. All of these issues can weaken the member. Damaged Trusses: During the installation process, individual trusses are susceptible to a number of problems, such as metal connector plates that have been torn out or buckled, plates that are partially pulled out, sloppily repaired trusses, or cracked members that may have been the result of failure to use a spreader bar for lifting. Trusses can also suffer damage during shipment or from roof leakage. Your inspector will also note missing or corroded gusset plates. Trust Uplift: This is a problem caused by seasonally-induced expansion and contraction of lumber, often resulting in drywall cracking. Roof truss is just one part of an A-Pro® 500-point home inspection that covers nearly two-thousand systems and components. Experience our difference today and hire certified local A-Pro home inspectors in West Palm Beach, Fl and surrounding areas, schedule here or call now: 1-561-594-0954. 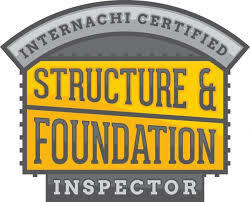 Mention this post and get a $25.00 discount with a standard home inspections in West Palm Beach, Fl. Looking for a home in West Palm Beach, Fl– click here and make sure to call A-Pro The Best Home Inspectors in West Palm Beach, Fl.